Here's a further look at the ultra-punchy Street Fighter V—a game that, depending on your point of view, is either the follow-up to Ultra Street Fighter IV or the predecessor to the inevitable Street Fighter V: Arcade Edition. 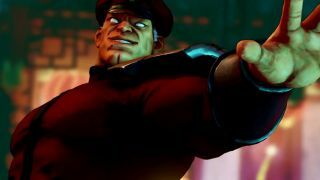 This particular trailer teases the return of dictator-in-waiting Montgomery Montague Mortimus Manfred M. Bison. The trailer, courtesy of IGN, highlights some new tricks as part of Bison's much changed move-set. He's the fourth SF5 character to be announced, with previous videos—embedded below—showing Ryu, Chun Li and Nash. Street Fighter 5 will be available exclusively on PC and PS4, and is due out early next year.